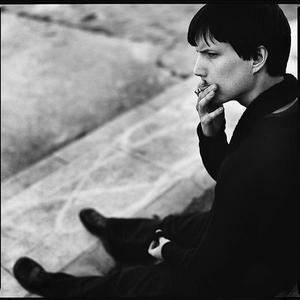 Minimalist singer-songwriter Nathan Amundson began performing as Rivulets in 1999 in Minneapolis, Minnesota, United States. In 2002, Rivulets' self-titled debut was issued by Chair Kickers' Union, the Duluth, MN, label run by the veteran slowcore outfit Low. Rivulets' second album Debridement was released on Chairkickers in 2003. Rivulets' third album You Are My Home was recorded by Bob Weston (Shellac, Mission of Burma) and released in North America by Important Records in 2006 and in Europe and Asia by O Rosa Records in 2008. In 2002, Rivulets' self-titled debut was issued by Chair Kickers' Union, the Duluth, MN, label run by the veteran slowcore outfit Low. Rivulets' second album Debridement was released on Chairkickers in 2003. Rivulets' third album You Are My Home was recorded by Bob Weston (Shellac, Mission of Burma) and released in North America by Important Records in 2006 and in Europe and Asia by O Rosa Records in 2008. We're Fucked, the fourth Rivulets album, was released by Important Records in 2011. Rivulets' spare sound is augmented at times by various musicians, including Low principals Alan Sparhawk and Mimi Parker. In addition to the albums, between '99 and 2012 Rivulets issued a series of CD EPs and contributed to numerous compilations.